America’s Test Kitchen is the home of Cook’s Illustrated and Cook’s Country magazines. 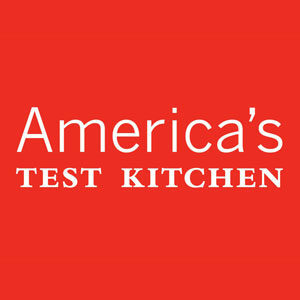 The mission of the editors of America’s Test Kitchen is to test and test and test recipes until they can discern how and why a particular technique works. “The epitome of success.” “Simple yet elegant.” “I definitely will be making this again and again.” That’s what folks are saying about this recipe. Sorta makes you want to try it, doesn’t it? Carefully concocted to rely on less sugar than the cloying milk chocolate cream pie of our childhood, this is a far more adult-friendly, yet still spectacularly satisfying, rendition of a classic. Shatteringly crisp skin. Tender meat. And a stovetop that isn’t spattered with grease. This is going to change your weeknight chicken game. An Oreo cookie crust is filled with a rich custard made from bittersweet and semisweet chocolate. Vanilla-infused whipped cream is crowned high on top.